Maggie Parker, an executive with Comstock Companies who played a role in helping to bring the Silver Line to Reston, is joining the increasingly crowded Democratic field for Hunter Mill Supervisor. 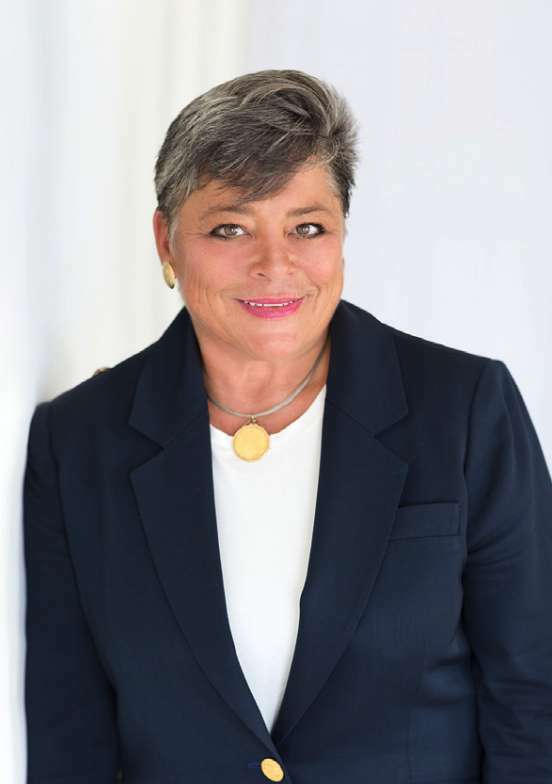 As a Vice President for Comstock, the Reston-based real estate developer, she handles areas including communications, government relations and community relations. She stands out from the current field of contenders for Cathy Hudgins’ Hunter Mill District Supervisor seat by being a real estate developer in a field that has expressed varying degrees of opposition to or concern about continuing development in Reston and Vienna. The Reston Citizens Association plans to hold a Hunter Mill District Supervisor forum on Tuesday, April 23, at the Jo Ann Rose Gallery (1609-A Washington Plaza N.) from 7-9 p.m.
Want to get in touch with the team bringing you news about Reston, Herndon and Great Falls? Send us your news tips, press releases and feedback to [email protected] or use our anonymous message form. Our news team does not have a phone line for inbound calls. You can also reach us on social media — Facebook, Twitter and Instagram. For advertising inquires, please contact [email protected]. 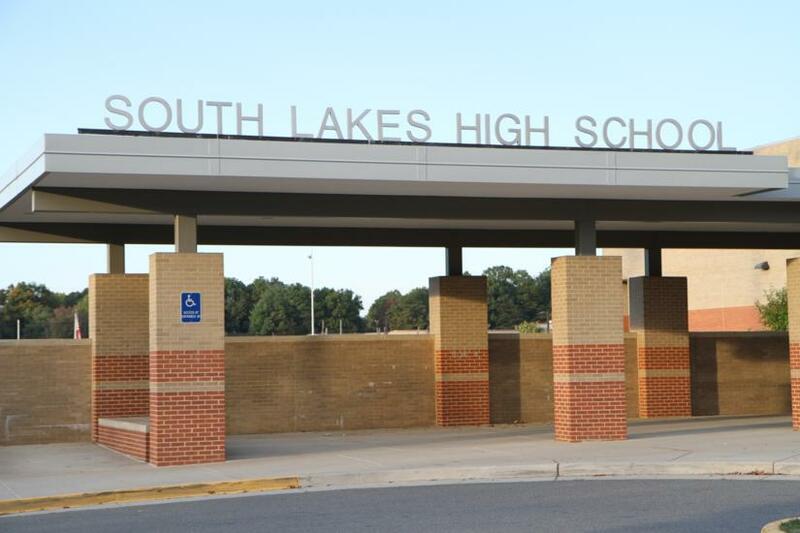 This week on Then and Now, we’re going back to South Lakes to take a look at Lake Audubon. 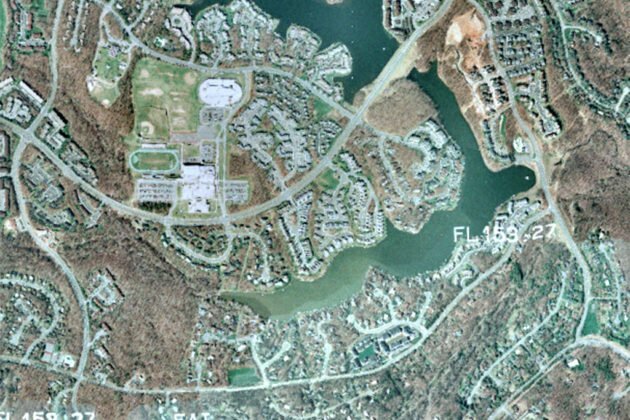 With help from Fairfax County’s Historic Imagery Viewer, which offers aerial views of the county dating back to 1937, Reston Now has put together a look at how the lake has evolved from overhead and under the surface. 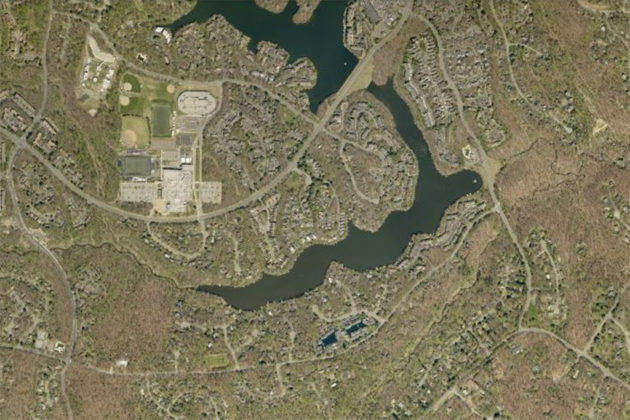 Audubon is the largest of Reston’s lakes in both it’s acreage — 43.5 acres — and it’s extensive watershed covering 1,558.5 acres. 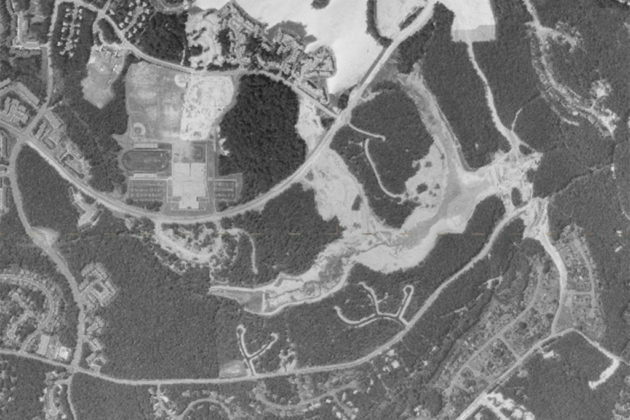 While Lake Thoreau holds 26.5 million gallons of water, it’s southern twin holds 133.6 million gallons. Lake Audubon and Lake Thoreau were conceived to be one lake, then named Lake Elsa. 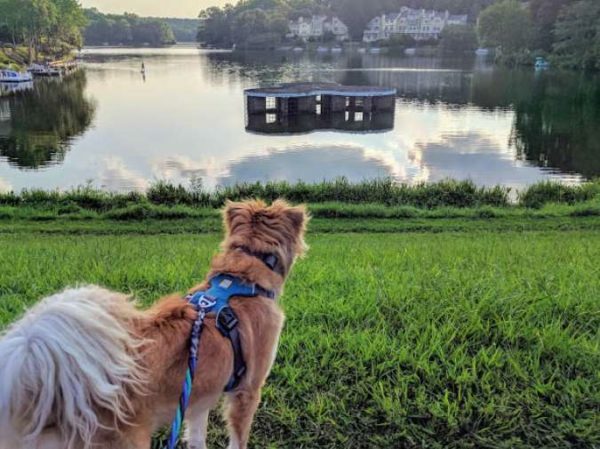 The lake was impounded in 1971 and was named for Reston founder Robert Simon’s mother. 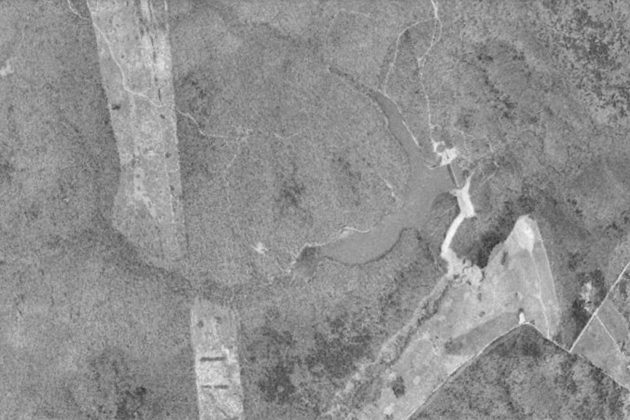 But in 1979 the South Lakes dam bisected the property and split the lake, creating Lake Thoreau in the North and Lake Audubon in the south. 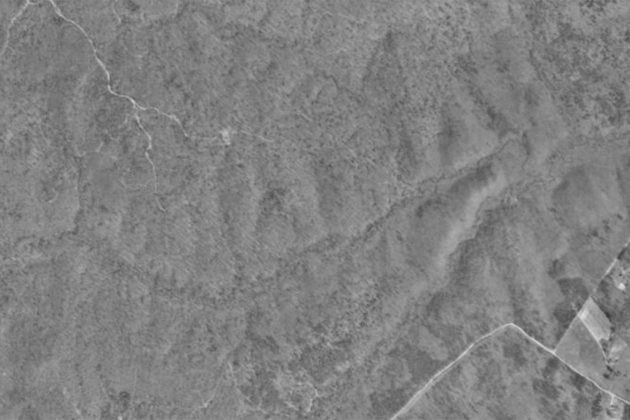 For years, the southern area closed off by the dam, but for years afterwards remained a dry pit. During the 1980s, the lake was filled in with water. 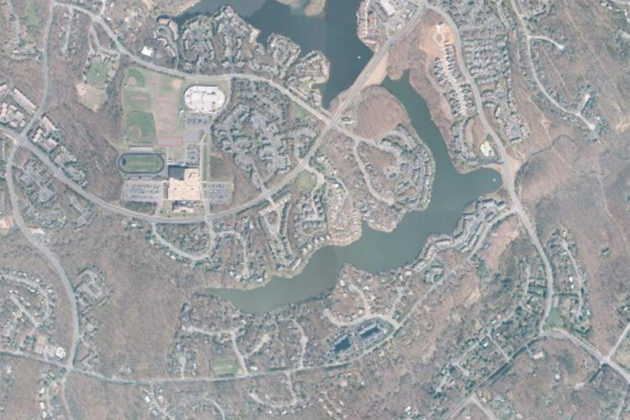 In more recent years, the levels of contamination in the water continue to be a problem, caused in large part by the lake’s large surface area. According to a 2017 report on Reston’s lakes, Lake Audubon’s has faced increasing amounts of toxic algae that pose an ecological threat to the lake. Increasing levels of toxic algae culminated with a warning to local residents to avoid contact with the lake, leading to a dredging project earlier this year. Want to learn how to make ramen (and then eat it)? A cooking class on Saturday (March 30) will teach participants how to make umami-rich soup — and several variations — from scratch. 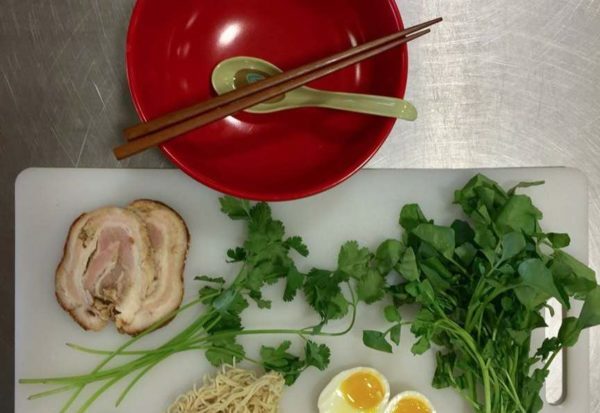 Chef Kim Tran will teach the class, which will include a lunch of ramen. The class takes place at 100 Bowls of Soup Kitchen (279 Sunset Park Drive) from 11:30 a.m.-1:30 p.m.
Bookworms Club (11 a.m.) — Kids can join the free Scrawl Books’ club, which explores a new theme each week with picture books, special guests and authors. This week’s book is “Inky’s Amazing Escape: How a Very Smart Octopus Found His Way Home” by Sy Montgomery and illustrated by Amy Schimler-Safford. Diva Central (11 a.m.-3 p.m.) — Current middle and high school students will be able to pick out free prom dresses and accessories at RCC Lake Anne. “C-H-I-C-K-E-N-S … in Your Backyard” (1-2 p.m.) — Adults interested in raising backyard chickens, which can be a source for high-quality, fresh eggs and meat or as pets, can learn how. 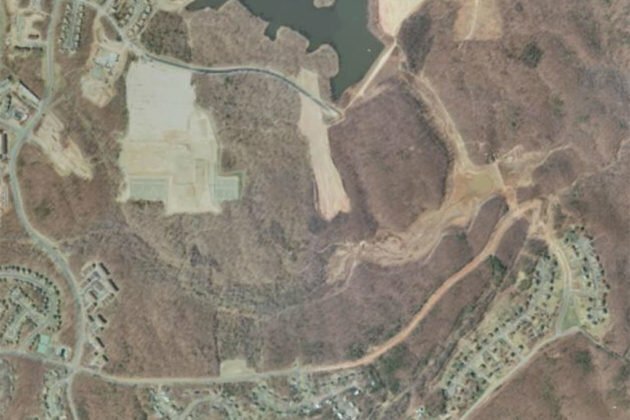 Willie Woode from the Northern Virginia Soil & Water Conservation District and St. Clair Williams, the senior assistant to the zoning administrator, will give a presentation at the Herndon Fortnightly Library. “On That Note — Brand New Day!” (7-9 p.m.) — On That Note will perform songs from musicals at ArtSpace Herndon. Tickets cost $20. Rob Fetters (7-10 p.m.) — Singer/songwriter and guitarist Rob Fetters is set to perform at a Restonian’s house. Tickets cost $25. Reston Runners walk or run (8 a.m.) — Starting at the Autumnwood Pool, runners can go for either a 3- or 6-mile walk or 10-mile run. “Hidden History of Herndon” book signing (1-2 p.m.) — Herndon Historical Society Historian Barbara Glakas will sign copies of her new book called “Hidden History of Herndon” at the Herndon Depot Museum. She will also answer any questions locals have about her book or about Herndon history. History of World War II (2-4 p.m.) — Harry Butowsky from George Mason University will present the third part of his six-part lecture series at the Reston Regional Library. 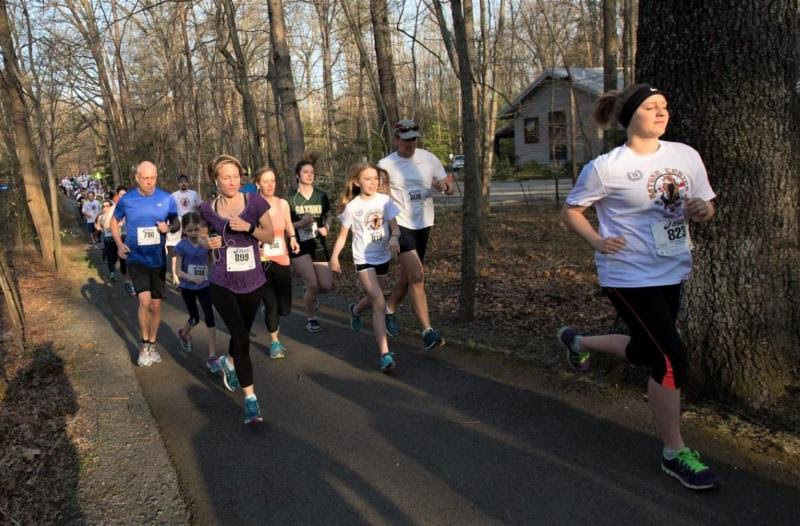 Mark your calendars for April 13 if you plan to break a sweat in the Nature Center 5K Run and Walk. Online registration closes on Wednesday, April 10, but participants can still sign up at the 7 a.m. walk-in registration on race day. While walkers are welcome, pets and strollers are not. The race, which begins and ends at the Walker Nature Center (11450 Glade Drive), is set to start at 8 a.m. on Saturday, April 13. The course spans paved paths and woodchipped trails through the forest and neighborhoods. Runners will be greeted at the finish line with refreshments, music and prizes. Awards will be given to overall finishers and men’s and women’s categories in 10-year increments, according to a press release. Three team categories — “Corporate,” “Friends” and “Family” — were added this year. Racers will also have the chance to win prizes in random drawings. Kids under the age of 13 will receive a participation prize. The funds raised by the race will help support the Walker Nature Center’s facility enhancements, educational exhibits and programming, the press release says. 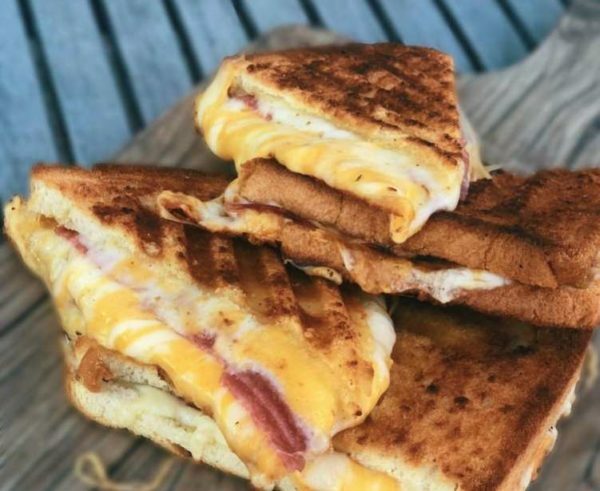 Great Falls Center will soon have a restaurant that focuses on pairing grilled cheese and wine. 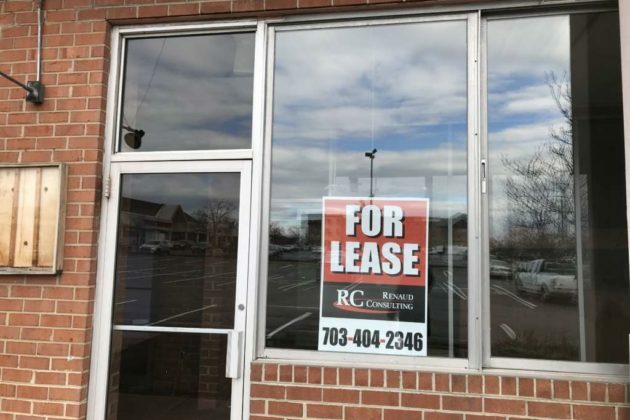 Renaud Consulting, a commercial real estate company, recently unveiled that Bites Wine and Grilled Cheese Bar recently signed a lease for a 2,064-square-foot spot at the recently redeveloped shopping center. The Leesburg-based restaurant, which opened in late 2017, makes its sandwiches on bread from The French Bread Factory in Sterling, according to its website. 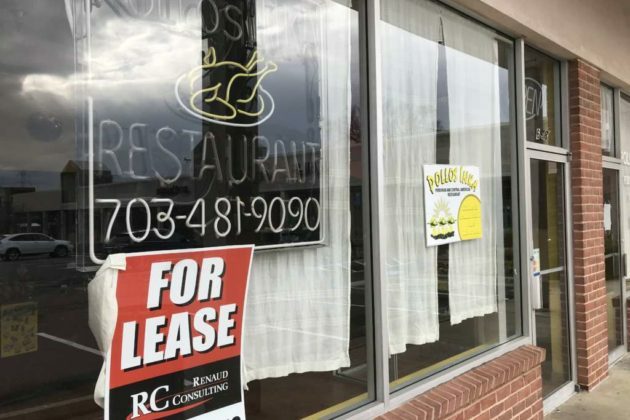 Great Falls will be the restaurant’s second location, John Marigliano, a senior vice president at Renaud Consulting, told Reston Now. 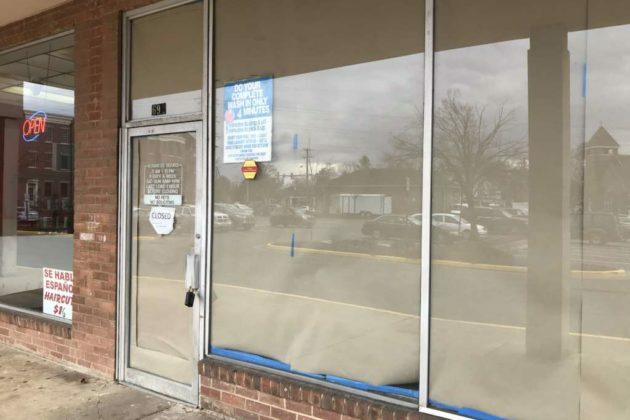 Marigliano said that the restaurant is currently going through the permitting process for the spot at 9908 Georgetown Pike. He expects the restaurant to open sometime in June or July. 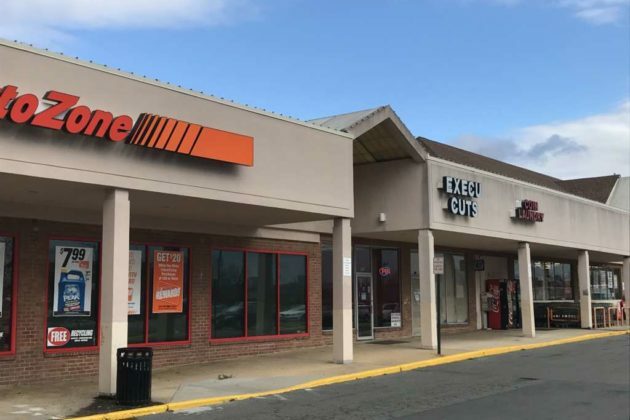 The Pines Shopping Center in Herndon has welcomed two tenants to help fill its empty storefronts. Established in 1959, Pines Center was the first of the shopping centers to pop up along Elden Street. 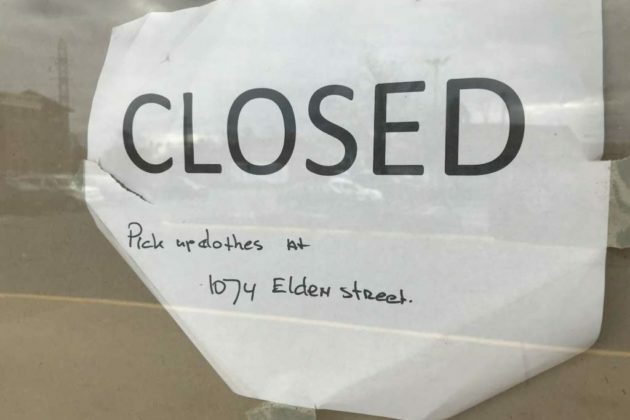 For roughly the last decade, the shopping center at 690 Elden Street has faced continuing vacancies, which prompted talk in 2012 about revitalizing the center. News outlets reported the shopping center obtained a new leasing manager — Vienna-based Renaud Consulting — in July 2015. 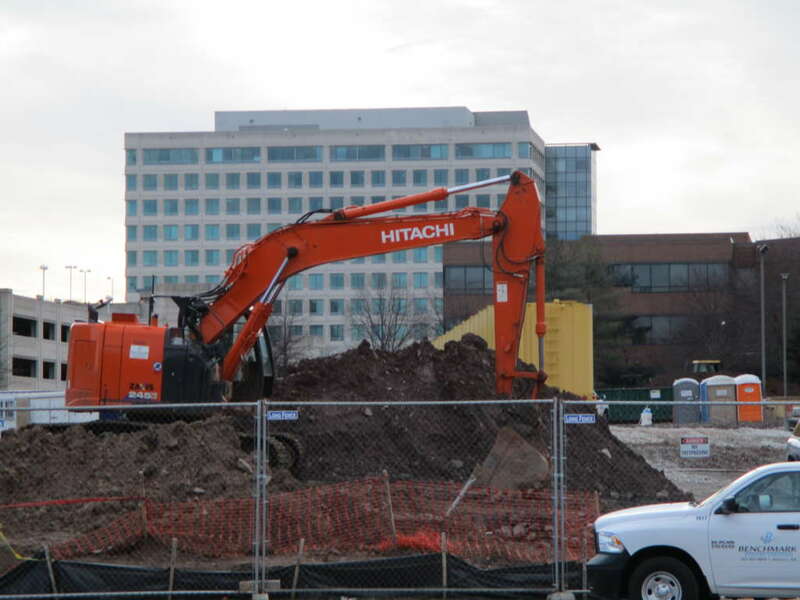 Recently, the commercial real estate company announced that Herndon Laundry and Domino’s signed leases. 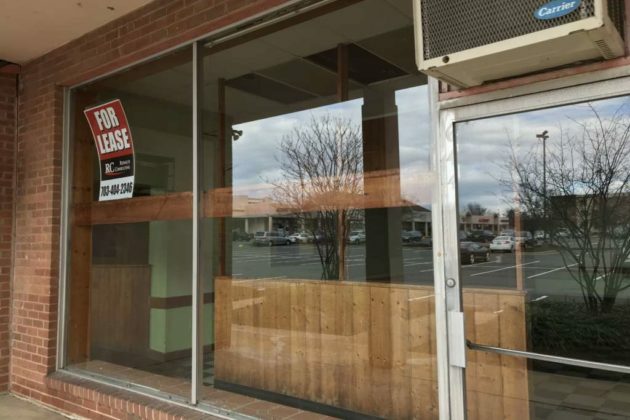 Domino’s has 1,600 square foot at the shopping center, while Herndon Laundry occupies a 2,270-square-foot space. Domino’s lists a location offering both carry-out and delivery at 698 Elden Street on its website. 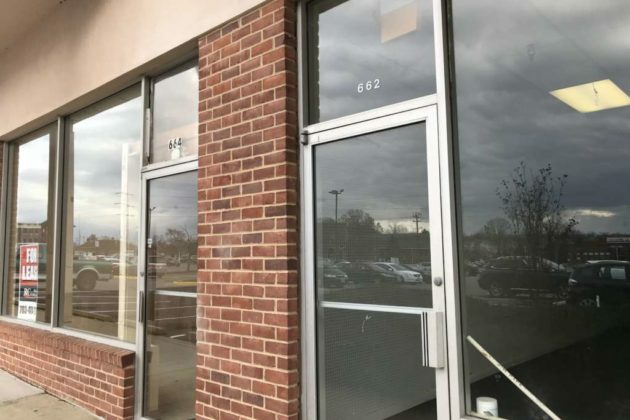 While Renaud Consulting did not provide the address for Herndon Laundry, its announcement features an image of the closed Coin Laundry at 692 Elden Street. In its brochure, Renaud Consulting notes that seven out of 19 spaces at the shopping center are vacant, totaling 15,460 square feet of empty retail space. The Reston Community Center (RCC) is planning a concert and meet-and-greet with acclaimed pianist George Fu. The event is set for Thursday, April 4, from 2:15-3:30 p.m at the CenterStage (2310 Colts Neck Rd). The concert will be free and appropriate for all ages. 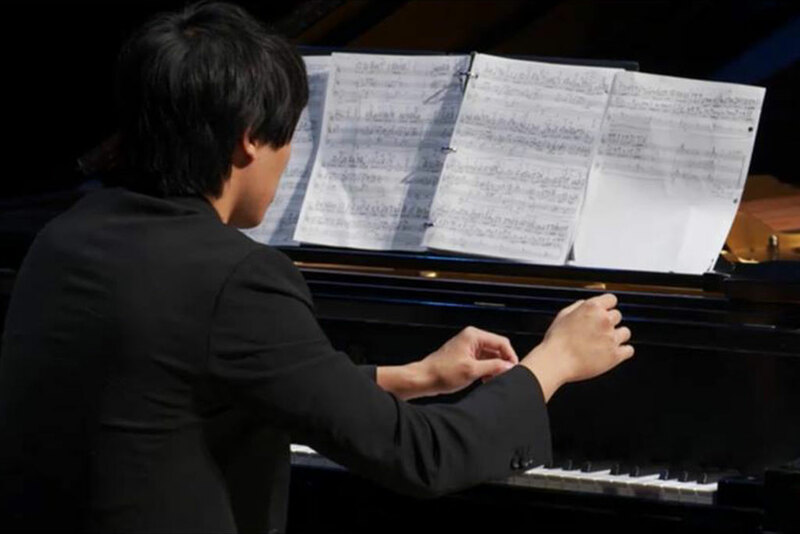 A Facebook post for the event says Fu will be joined by Chelsea Wang, a classmate from the Curtis Institute of Music, for a four-hand piano recital. The concert is part of the RCC’s ongoing Meet the Artists series. Fu was previously featured in the RCC’s Meet the Artists series in 2016. Fu has worked with a variety of orchestras, including performing as a soloist with the National Symphony Orchestra, and is returning to Reston following a stint at the London Conservatory of Music. 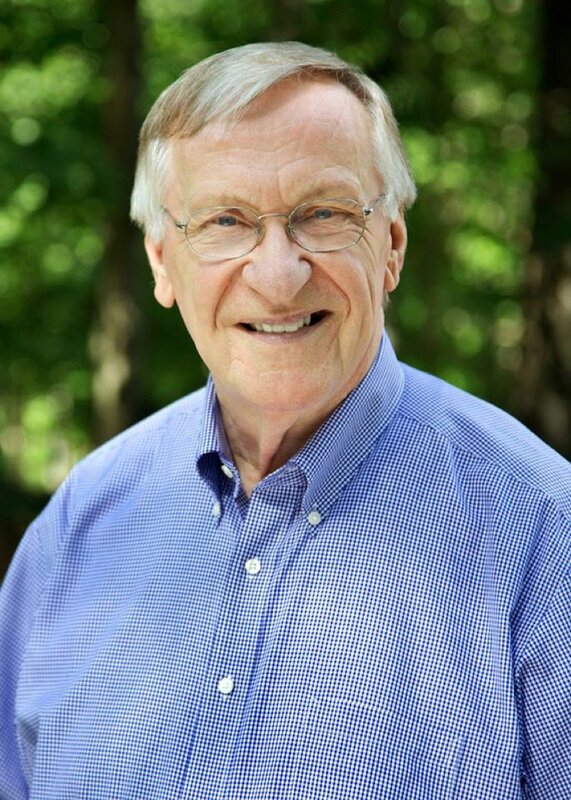 Andy Sigle, the outgoing president of the Reston Association’s Board of Directors, is running for the Hunter Mill District seat on the Fairfax County School Board. Sigle announced his decision to run on Feb. 19 on Facebook about a month after Hunter Mill District Representative Pat Hynes said that she won’t seek re-election. My wife, Kim, and I have put four children through the FCPS school system, the last one graduating in 2017. I am a strong advocate of student equity and access in our public schools, support of our teachers, establishment of infrastructure that keeps up with development within our community, as well as a driver for family and community engagement and sustainability initiatives. I bring to the role more than twenty five years as a manager and executive in the telecommunications industry along with a MBA from the University of Chicago. I have a proven track record of tackling difficult situations and creating positive results through a focus on asking sensible questions, holding reasonable discussions, collaboration and collegiality. Again, I know I can make a difference on our school board and I ask for your support. Since then, Sigle has highlighted his work as the former president of the South Lakes High School PTSA board, which included organizing a series of diversity and inclusion workshops, helping to establish the school’s food pantry and moderating a discussion between Hynes and Hunter Mill District Supervisor Cathy Hudgins meant to educate the community. Sigle’s bio says that he has turned his attention to community work after 28 years in the telecommunications industry. Sigle first joined the RA’s Board of Directors in 2011 and was elected president last year. He also sings in The Reston Chorale, chairs the Southgate Community Center Advisory Council and is a member of the Reston Historic Trust’s Board of Directors. Earlier this month, Sigle nabbed a new role as the chief operating officer and vice president of external relations for Leadership Fairfax, a nonprofit that aims to inspire private and public sector individuals to tackle community issues. Laura Ramirez Drain and Melanie Meren are also running for the school board seat. 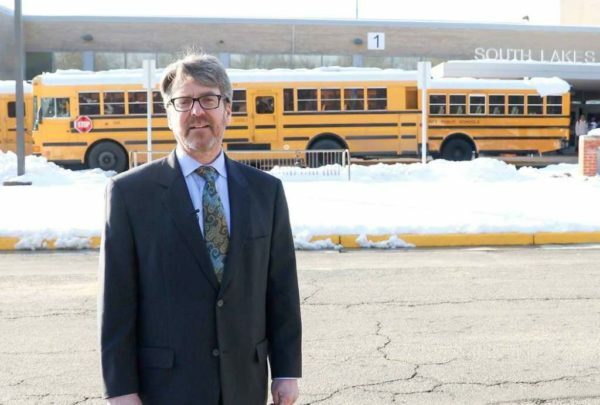 The Hunter Mill Democratic Committee is slated to host a candidate forum on Wednesday, April 10, at 8 p.m. at Lake Anne Elementary School (11510 N Shore Drive). The committee also plans to hold an endorsement meeting on May 8 at Lake Anne ES. In a hunt for good local reads, Reston Now has recently been reaching out to Reston and Herndon book stores for book suggestions about local history or written by local authors. Reston’s Used Book Shop weighed in with its top local picks for book lovers — all of which can be found on the shop’s shelves at 1623 Washington Plaza. The book shop has called Lake Anne Plaza home for more than 40 years. Founded in 1978 by Restonians Sue Schram and Sue Wensell, the book shop changed owners in 1999, according to its website. 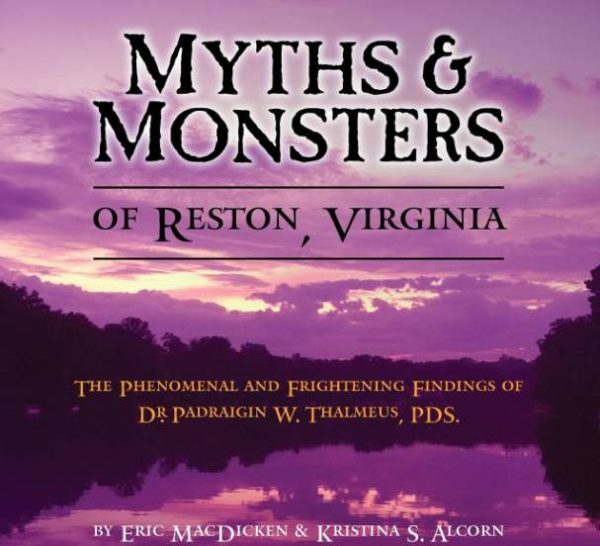 Readers looking to unearth Reston’s secrets might enjoy the shop’s recommendation of “Myths and Monsters of Reston, Virginia: The Phenomenal and Frightening Findings of Dr. Padraigin W. Thalmeus, PDS.” written by local authors Eric Macdicken and Kristina Alcorn. Every town has myths, but not every town has monsters. Reston, Virginia could be the most monstered town in all the world! At least according to the recently unearthed journal of the scholarly yet skittish Dr. Padraigin W. Thalmeus, PDS., circa 1819. Join our team of modern day paranormal researchers as we discover the supernatural creatures that Dr. Thalmeus faced on his perilous quest for a legendary hidden treasure. Perhaps these myths and monsters are still haunting to this day! Reston’s Used Book Shop had two more suggestions that Reston Now covered in previous bookstore roundups. The book shop suggested another book by Alcorn — “In His Own Words” — that was previously recommended to Reston Now by the Reston Historic Trust and Museum (Alcorn is the vice-chair of the Reston Historic Trust’s board). The shop also selected “Reston A to Z” by Watt Hamlett, which was recommended by Mascot Books to Reston Now. Tell us in the comments if you’ve read these or have other local reading suggestions for book lovers. 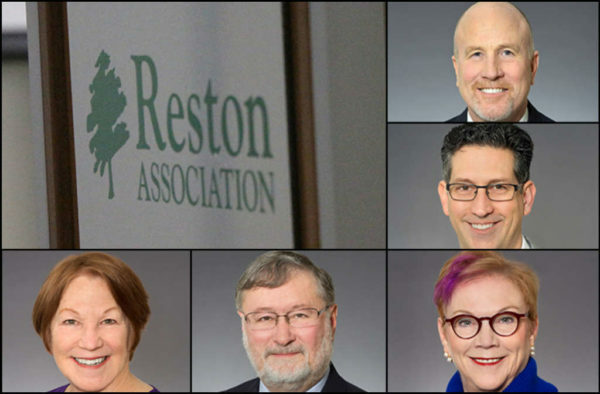 With the Reston Association’s voting deadline less than one week away, Reston Now has the latest update on the Board of Directors’ election. The five uncontested seats each need to reach a quorum of 10 percent of eligible voters to make the election results official. The received ballots include 1,282 ones submitted electronically and 888 paper ones. The deadline was extended from April 1 to April 3 after the association found out that a technical issue caused approximately 2,800 paper ballots to be returned as undeliverable. Results of the election will be announced at the Annual Members’ Meeting on April 9. The end of the school year is approaching, which means that many students are thinking ahead about summer jobs. South Lakes High School will host a job fair for teens on Thursday (March 28) to help connect students to potential employers. The fair is set to take place in the main corridor outside of the cafeteria during the school’s four lunch sessions, according to Fairfax County Public Schools. Reston-area employers will set up tables to offer applications and answer students’ questions about part-time employment. Some of the employers are looking to hire teachers during the summer, according to FCPS. Poll: Which Reston Town Center, RTC West Newcomers Are You Most Excited For? Reno of the Month: Should I Stay or Should I Go? Poll: Which Reston Village Center is Your Favorite?